It will not be an easy topic to organize, nor one that can be allowed free reign to run as it will. It is not a subject people like to discuss openly. But, in my humble opinion, it is not something to set loose to pasture expecting it will tame itself. The riots in Durban, and the ripples felt across all of Africa as a result, opened a door, so to speak, within the African collective consciousness… with the open questioning of Xenophobia versus “Afrophobia”. A new word in our consciousness for all practical purposes, that came out of the unfortunate, but long smoldering embers that were just waiting to burst into flames once critical mass was achieved. The source of the accumulating embers, fanning to a flame by the ill conceived words of a regional leader… the continual displacement of persona non grata in one country, forced by absolutely dire necessity, to relocate in another. Abject poverty underlies all, people forced to fight for the tiniest scraps, where finding a scrap in the first place is difficult enough. I have included this sentiment from Facebook that came across my feed today, a voice rarely heard, but intensely poignant when it surfaces. This is the perspective of a native South African, and they exist, just as does The Elephant in the room. I hear them often amongst my circle of friends in the area. I heard them immediately prior to the Durban riots, but I was unable to put my finger on them with specificity until news of the riots spread. This one too, alluded my immediate recognition of the specific cast member in this ongoing and “never ceases to amaze you” drama, colloquially referred to as The African Narrative. However, in short order, the inspiration, if we were to go so far as calling it inspirational, for this said state of affairs was not for Southern Africa’s most famous leading man. Instead, the origins of this dissatisfaction, a familiar headliner from the north of the continent. The names may be different, but the type cast leading role within the overall plot remains the same. So again, The Elephants remain in the room. Their presence is made more apparent on occasion, but most care not to shed the poker face each wears, lest another player calls their bluff. The reality is, there is no bluff, The Elephants exist. The questions that continue to arise, repeat themselves, and remain unanswered, because it is taboo to discuss the underlying problems that are as real as the night is dark. Why do US interests in the extraction industries remain on closely guarded “Fortress America” compounds? Why, as per our last discussion verified, do the Chinese place a high degree of security as a critical component of their operations as well? Why and how does this just continue to ensure resources are primarily extracted, while only enough is left in country to power/fuel the extractive processes? Are the conditions, i.e., poor governance, corruption, infrastructure insecurity, limited “ownership” values, etc., themselves forcing the process all of us would like to see change, because the hard reality being, there are just no other options? These are only a few of the questions that continue to confront us. These types of question do not only relate to energy; the same themes impede all sectors of Africa’s advancement. The Elephants are present all the same, regardless whether the meetings are held in corporate boardrooms, community development centers or relief organizations the world over. T.I.A. – This Is Africa or not, there is little to be benefited from the continual avoidance of the realities that exist. Breaking down the walls, enabling the transitions we are all trying to facilitate, cannot happen when the walls continue to be hardened and thickened as barriers to progressing forward. From my perspective, as one that wants to do good, I cannot for the life of me arrive at any productive reasons not to open the discussions. Just call The Elephants what they are, Elephants… so at least then, we can incorporate it into our planing to overcome the other, more concrete obstacles that we need to negotiate our pathways around as well. Just my 2 cents on it, knowing I am only a distant observer, yet to make the jump across the pond… contrary to the advice of nearly everyone I discuss my future plans of relocating to Southern Africa. 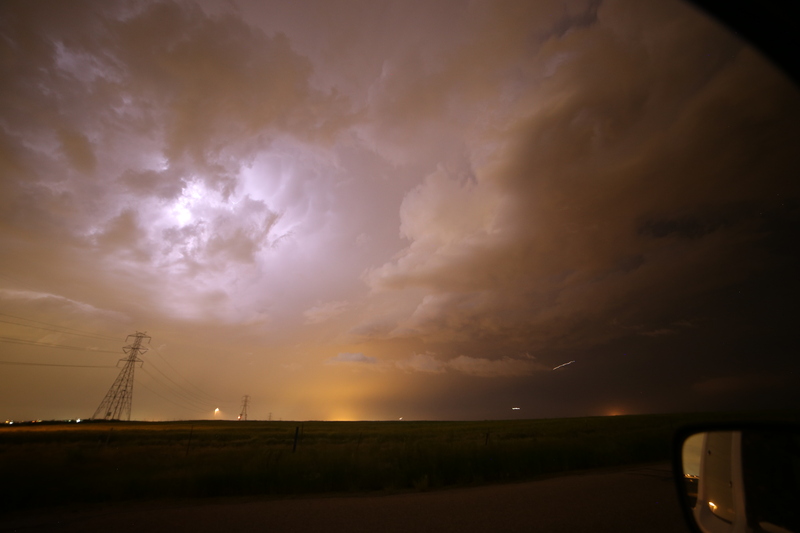 Tonight at least, a stationary thunderstorm here in Colorado, nearly continuously alight by flashes of lightning, took me back to a time seeing the same flying above the clouds somewhere over Angola or Namibia. Although I did not pull out my camera to capture the storm as I often do, it was a nice memory to remember as I just watched and enjoyed the sights. Next Next post: Wisdom of African Mega Energy Development?